Gap will close 175 stores in North America, leaving about 800 open, and will lay off 250 employees this year. 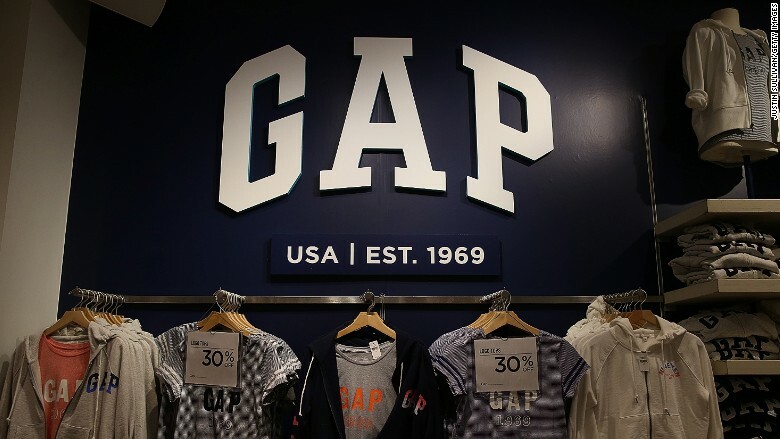 Gap (GPS) said Monday it will also close a "limited number" of Gap stores in Europe over the next few years. Store closures will only affect Gap stores, and not its other brands -- Banana Republic, Old Navy, Intermix and Athleta -- or its outlet and factory stores, and the brand will continue to run about 1,600 Gap stores worldwide. The brand has been struggling for a few years. Gap reported dismal sales for the first quarter of 2015, down 10% from last year. Its online sales were also down 2% from the same period last year. The company recently shut down its Piperlime branch, which curated shoes and clothing from other brands and was sold primarily online. Gap's new CEO Art Peck, who previously helped expand the company's digital presence, said in Monday's press release that online growth is part of his vision for turning the retailer's performance around. "Customers are rapidly changing how they shop today, and these moves will help get Gap back to where we know it deserves to be in the eyes of consumers," Peck said. Correction: An earlier version of this story incorrectly reported the layoffs would mainly be in San Francisco.